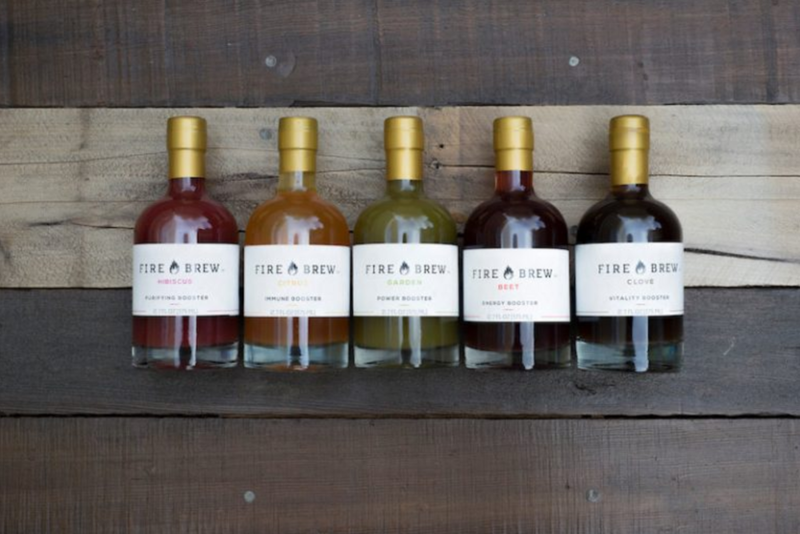 12-3pm @ TLE West End | 412 SW 10th Ave.
Fire Brew is a line of artisanal apple cider vinegar health tonics made with nutritious vegetables, fruits, herbs and spices. Take a tablespoon a day and fire up your system to keep it running at optimal speed, all day, every day. 4-7pm @ West End | 412 SW 10th Ave.
Barrow PDX is a porcelain and fiber based jewelry brand designed and made by two longtime friends in their NE Portland studio. Each piece is handmade, and no two are exactly alike. Watch Lindsay and Rachel demonstrate one of their favorite braids in hand dyed cotton, and try it out yourself at the table. See the process from start to finish, and shop some discounted jewelry samples and limited edition pieces. 4-7pm @ TLE NW 23rd | 525 NW 23rd Ave. Handmade in Portland, OR, Natalie Joy Jewelry is known for it's mixed metals and bold minimalism. 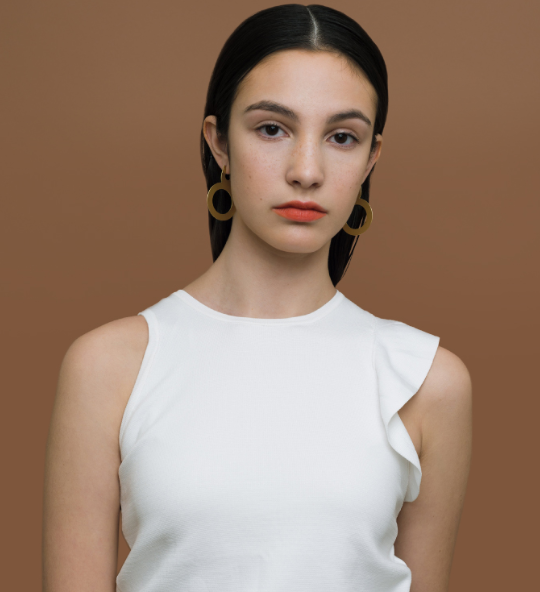 An extension of her previous Absence & Form Collection, Absence & Form Minimals uses simpler, smaller shapes that are geared towards easy wearing and easy gifting with price points $60 and under. 5-7pm @ TLE Hawthorne | 3541 SE Hawthorne Blvd. Sophisticated sculpture for the youthful spirit. Handmade, playful creations for your home and heart by Korin Noelle. Creatures are sculpted using a local porcelain clay and then painted with colorful underglazes and fired with a clear glaze to adhere the designs. Come shop a sample sale, and paint your own Bang Bang Crafts creature! Come try your hand at letterpress printing with Letterpress PDX! The local design & print studio will have a smaller version of their 1600lb platen press inked up to print a special festival keepsake for anyone stopping by. 1-3pm @ TLE Hawthorne | 3541 SE Hawthorne Blvd. Come by and enjoy one or two (we don't judge) torch-fired s'mores! Nineteen27 grahams, mallows and spreads are all made from scratch in small batches with local ingredients. Sarah Marshall is the creator of Marshall’s Haute Sauce, a small batch specialty hot sauce company using local ingredients and the author of the new book Preservation Pantry: Modern Canning from Root to Top & Stem to Core (Regan Arts), which offers a whole food root-to-top, stem-to-core method approach to modern preservation and 100+ recipes for whole-food canning and preserving locally grown, organic produce that helps fight food waste by transforming roots, tops, peels, seeds, skins, stems, and cores into beautiful, delicious dishes. 11am - 1pm @ TLE Hawthorne | 3541 SE Hawthorne Blvd. Come hear the amazing adventure of a very special Vaux's Swift as he makes his first flight south to Portland, in this fictional telling by local author Lee Jackson. Bring your questions about the birds for the Q and A afterwards. 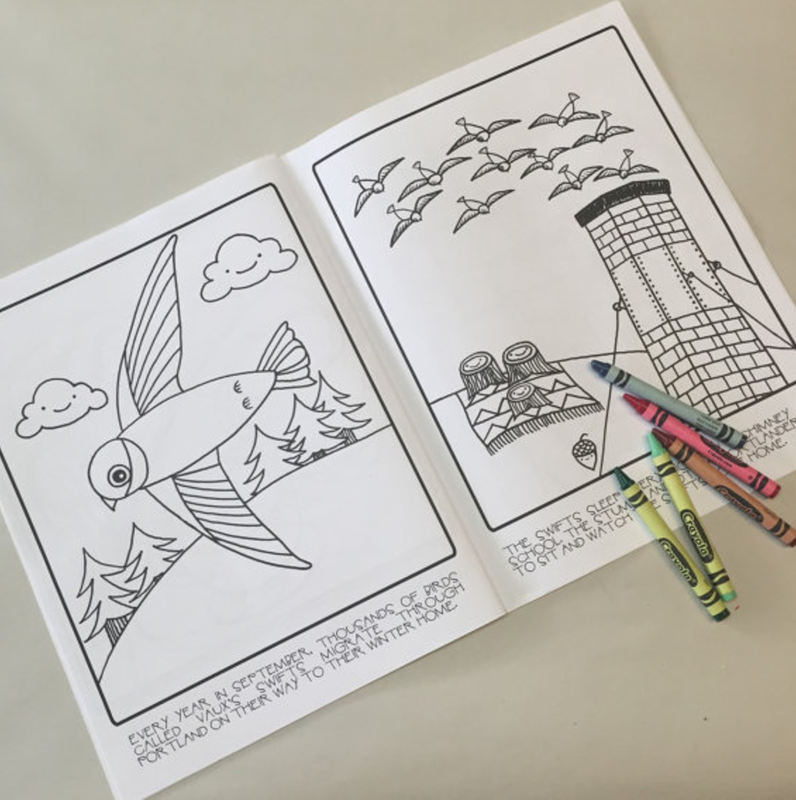 The Stumps of Stumptown is an interactive coloring book based in Portland, OR that allows kids to use their imagination as well as traditional coloring. Written and illustrated by Bishop Lennon, it features local favorites like the Chapman Swifts, the big Paul Bunyan statue, public transportation and Bigfoot!